Ten-year-old prodigy Akiane Kramarik shares her artwork, poetry, and the fascinating story surrounding her talent. Growing up in a home with an atheistic mother and a non-participating Catholic father did not stop four-year-old Akiane Kramarik from finding God. This girl's dreams began a conversation in the home that has eventually brought them all to Christianity and the world's attention. 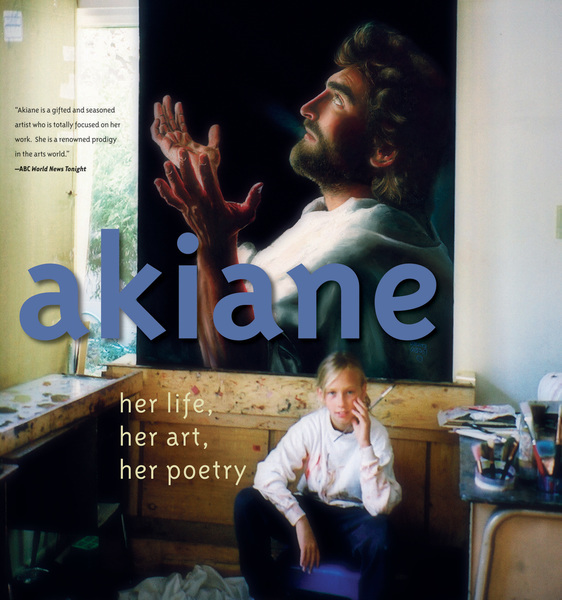 Akiane: Her Life, Her Art, Her Poetry is a collection of the best of Akiane's full-color paintings and poetry created from ages 4 to 10, along with details of her family and the amazing stories that surround each unique artwork. Already a media professional, Akiane has been interviewed on programs such as Oprah, World News Tonight, Lou Dobbs Tonight on CNN, and Schuller's Hour of Power. Akiane will be one of twenty visual artists participating in the October "Listen" event raising money for the world's needy children. Today Akiane's art is available online at www.artakiane.com.